Tennessee is making their 15th overall appearance in the NCAA Tournament, and their first since 2012. UT has the fourth most appearances by an SEC school. 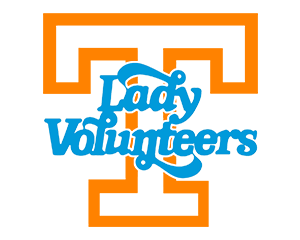 The Lady Vols made their first appearance in the very first NCAA Tournament held in 1981. They made their farthest run in 2005, making it all the way to the Final Four. The team is 13-14 all-time in the tournament, 9-5 in first round matches, 2-4 in first round road matches, and 1-2 in first round road matches where they don’t face the host team. They’ve won 3 of their last 4 first round matches. In 4 of their last 5 postseasons, UT was knocked out in a match that went to five sets. The Lady Vols will head to the Palouse this week, making this trip the farthest they have traveled for an NCAA Tourney match. As far as I can tell, this will be their first trip ever to Washington. During the regular season the team has played in the Northwest several times: Wyoming in 1988, Oregon in 1994, and Boise State (Idaho) in 1995. Some of the California cities they have played in have been a bit farther away. And Tennessee has played much farther away in Hawaii twice, in 1985 and 1999. Tennessee played 7 teams this year that made the NCAA Tournament. In those matches they went 5-5. UT’s only losses this year came vs Tournament teams. The Lady Vols enter the Tournament having won 11 matches in a row, and 15 of their last 16. This year the squad was 9-1 in sweeps, 12-2 in four set matches, and 4-2 in games that required the tiebreaker. The rest of the season will be played away from home. Tennessee went 11-4 in road matches this year. Against ranked competition, Tennessee led the SEC this year, with a 4-3 record. No other league school had more than two wins vs a ranked opponent, and no other league school had a winning record vs ranked teams. — 3-1 vs Mountain West Conference teams. The last two times the Lady Vols played a MWC opponent it was Colorado State (a win in 2009 and a loss in 2012). — 2-2 vs Pac-12 teams. They’ve lost the last 2 in a row. UT hasn’t faced a Pac-12 team since 2006. — 1-0 vs Big Sky Conference teams. The only meeting was a win over Montana State in 2014. 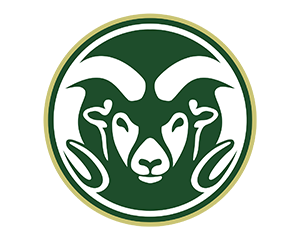 Colorado State is making its 24th straight and 30th overall appearance in the NCAA Tournament. The Rams made their first NCAA Tournament in 1983. Their farthest run has been to the Sweet Sixteen, which they’ve made 10 times (most recently in 2014). Only 10 teams have earned more tournament berths than Colorado State. The Rams are 29-34 in the Tournament, and 17-5 in first round matches. Colorado State is facing an SEC team in the Tournament for the 4th time, going 1-3 in those matches. Their only win was in a first round meeting. The Rams won their 15th Mountain West Conference title this year. They have a 23-7 overall record and a 15-3 conference mark. They are the only MWC team that made the cut this year. CSU is 11-4 in road matches this year. They’ve swept half their matches this season. They’re: 15-1 in three set matches, 7-4 in four sets, and 1-2 in five sets. UT and CSU have two common opponents this season. They defeated LSU 3-0, UT defeated LSU 3-1. Both teams defeated Indiana State 3-0. The Rams went 0-2 vs ranked competition: a close 3-2 loss to #12 (currently #4) Illinois, and a 3-0 loss to #20 Michigan. CSU enters the Tournament on a 12-1 run, having barely lost their last match of the regular season 16-14 in the fifth set. The last time they lost their final match of the season, they reached the Sweet Sixteen. Against other members of the subregional field, Colorado State is 1-2 vs Washington State and 7-2 vs Northern Arizona. Colorado State assistant coach Luke Murray faced the Lady Vols previously as an assistant at ETSU in 2013 in a match won by the Bucs. 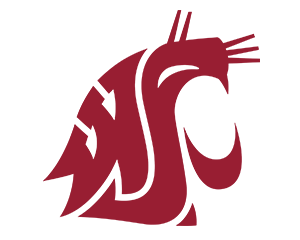 Washington State is making its 3rd straight and 13th overall appearance in the NCAA Tournament. The Cougars made their first NCAA Tournament in 1991. Their farthest run has been to the Elite Eight, which they’ve made twice (most recently in 2002). WSU is 11-12 in the Tournament. Washington State is facing an SEC team in the Tournament for the 3rd time, going 1-2 in those matches. Their lone win? A 3-0 win against Tennessee in 2000. Wazzou finished fourth in the Pac-12 this season — and earned a Tournament seed! That’s a concrete display of the strength of the conference. They have a 21-9 overall record and a 12-8 conference mark. They are one of 8 Pac-12 teams that made the Tournament. The Cougars are 10-3 at home this year. They’re: 9-1 in three set matches, 8-4 in four sets, and 4-4 in five sets. UT and WSU have one common opponent this season. Both squads lost to ETSU in five sets. Fully half of Washington State’s schedule this season was against ranked competition. The team went an impressive 9-6 in those matches. Against other members of the subregional field, the Cougs are 2-1 vs Colorado State and 0-1 vs Northern Arizona. Washington State head coach Jennifer Greeny was an assistant coach at the school in 2000, where her team defeated the Lady Vols in an NCAA Tournament match. Northern Arizona is making their 3rd appearance in the NCAA Tournament. The Lumberjacks made their first NCAA Tournament in 1999. Their most recent appearance was 2015. They were knocked out in the first round both times. 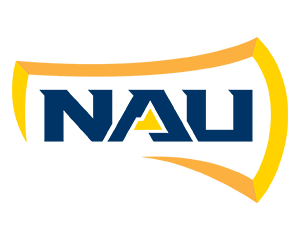 NAU won their regular season conference title as well as the Big Sky Tournament title. They have a 26-8 overall record as well as a 15-3 league record. The ‘Jacks have won 13 straight matches — the last 5 of which were sweeps. Northern Arizona is 16-6 in road matches this year. They’ve never been swept this season. They’re: 16-0 in three set matches, 7-3 in four sets, and 3-5 in five sets. Tennessee and Northern Arizona have one common opponent this season. Both squads defeated Florida: UT in a sweep, NAU in five. The Lumberjacks’ win over #8 Florida was their only match vs a ranked opponent this season. It was their first win over a ranked team since 1989. NAU head coach Ken Murphy was a former assistant coach at Colorado State under their current head coach Tom Hilbert.